(subsidiary of Azerbaijan Airlines) (J2/AHY) (Baku, Azerbaijan) 2017 - Current. Photos. Framable Color Prints and Posters. Digital Sharp Images. Aviation Gifts. Slide Shows. 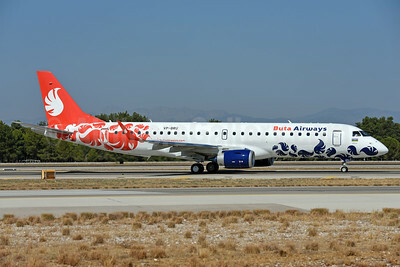 Buta Airways Embraer ERJ 190-100AR (ERJ 190-100 IGW) 4K-AZ64 (msn 19000627) AYT (Ton Jochems). Image: 945112. 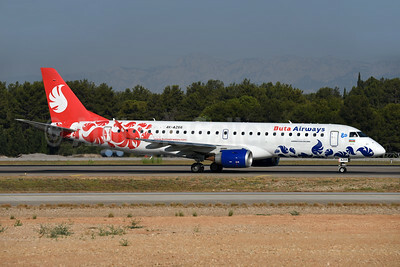 Buta Airways Embraer ERJ 190-100AR (ERJ 190-100 IGW) 4K-AZ66 (msn 19000631) AYT (Ton Jochems). Image: 945113. 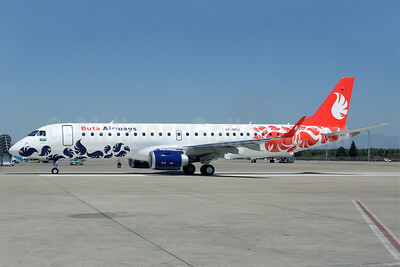 Buta Airways Embraer ERJ 190-100AR (ERJ 190-100 IGW) VP-BRV (msn 19000737) AYT (Ton Jochems). Image: 945111. 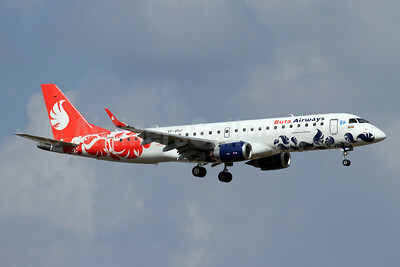 Buta Airways Embraer ERJ 190-100LR VP-BRU (msn 19000733) AYT (Andi Hiltl). Image: 945110. 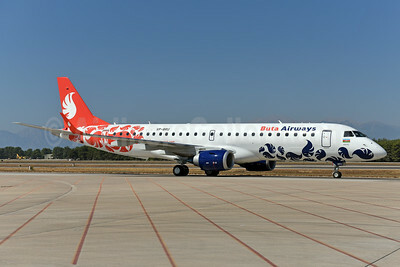 Buta Airways Embraer ERJ 190-100LR VP-BRU (msn 19000733) AYT (Antony J. Best). Image: 939241. Buta Airways Embraer ERJ 190-100LR VP-BRU (msn 19000733) AYT (Ton Jochems). Image: 939804. 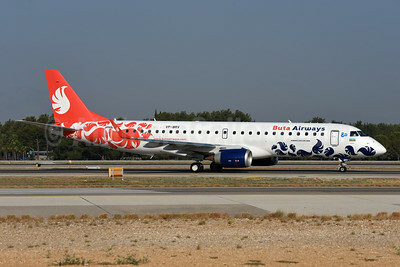 Buta Airways Embraer ERJ 190-100LR VP-BRU (msn 19000733) AYT (Ton Jochems). Image: 939805.